These days surviving as a photographer isn’t just about taking snazzy pictures, you’ve got to know your way around a myriad of software and be able to hold your own against the ever complex (they call them user friendly, lol.) computers. I recently came across a computer issue that took a bit of working out and it warrants a blog post, even if its just so I can remember how I fixed it last time and so others could use it if they come across this issue. Running OS X, I recently came across an issue with one of my storage devices. My Drobo renaming itself from ‘Drobo’ to ‘Drobo 1’. It happened when the Mac crashed after a power outage and it appears that the Finder automatically mounts and renames mount volumes by adding a suffix. This wouldn’t normally cause an problem, but when using the Drobo to reference files from via Lightroom or running any software that maps to the mounted drive, you’ll sudden find all your file paths ruined. In the Finder go to the “Go”menu and select “Go to Folder…”. You’ll be presented with a dialogue box enter “/volumes” (without the quotes), you’ll now see all your mounted volumes and you should see the duplicately named Drobo folder with a no access symbol on it. You can delete all the FOLDER icons (you’ll need to authentic with a admin or root access password first). Don’t delete the Hard drive alias. Eject your Drobo and when you remount it you’ll be able to rename it and voila! Your sorted. 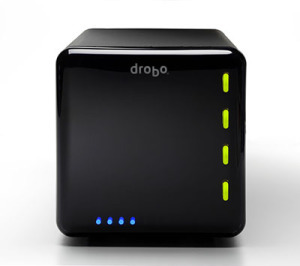 I hope you never have to use this solution, but if you do feel free to comment below and share this to anyone with a Drobo.